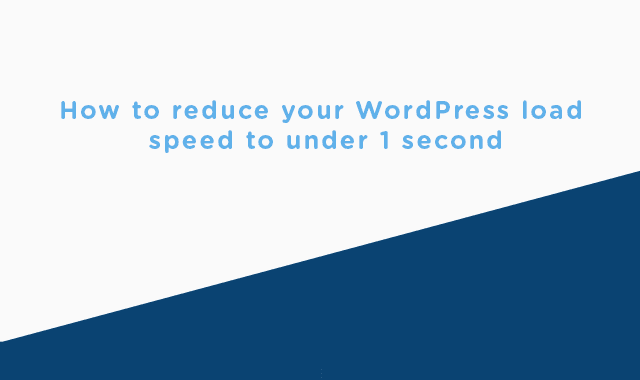 How to reduce your WordPress load speed under 1 second #Infographic ~ Visualistan '+g+"
A faster site will increase your conversions. A faster site means Google will love you. A faster site will provide a better experience for your customers and visitors, resulting in fewer bounces. The speed of your site is part of your brand. The final reason was the most important to us because we’re a WordPress support provider. In this post, I’ll run through some very specific actions you can take to speed up your website. We’ll use our site as the benchmark and demonstrate how we reduced our page load time to under 1 second. We’ll also address the common reasons for slow websites, so you can work out which ones you need to deal with in order to improve your own page speed.